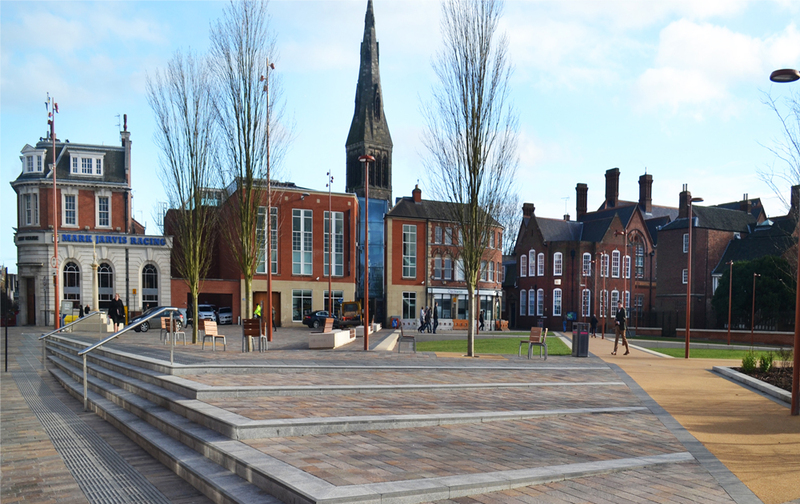 In 2013 and 2014 archaeologists from ULAS carried out a series of watching briefs during construction of Leicester’s new Jubilee Square. 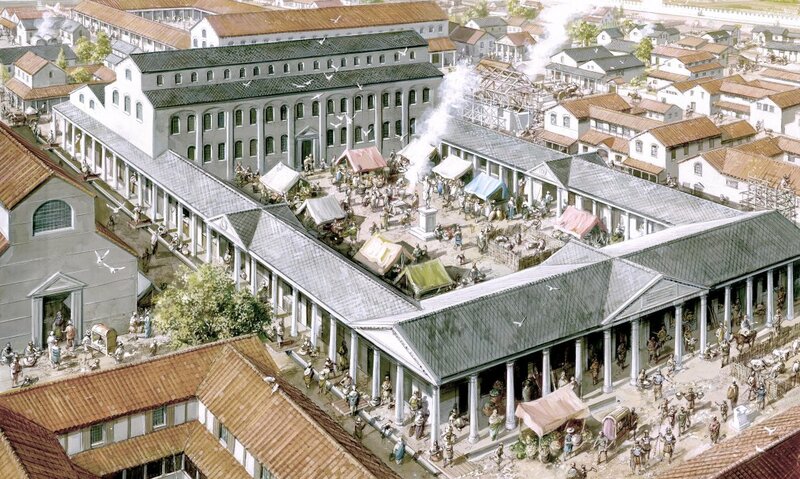 The site, at St Nicholas Place is in the historic heart of the Roman city and later medieval borough. In the Roman period much of the site was occupied by the southern and eastern ranges of one of Leicester’s most important public buildings, the mid-2nd century forum. The city’s principle east to west street, the Fosse Way, also crossed the site. Anglo-Saxon occupation has been recorded nearby and in the medieval period the area was crossed by a number of important thoroughfares including the High Street (today Highcross Street) and Swinesmarket (today the High Street); their junction being the site of the borough’s Wednesday market and the 16th century High Cross. The recent investigation observed groundwork within the area of new open space, consisting of the planting of trees, new walling, paving and lawns and the diversion of services. Activity along the former Highcross Street/Applegate frontage was largely destroyed by modern cellaring. However, survival of archaeological deposits was much better in other areas. Substantial mortared stone walls just to the north of Wygston’s House may be early plot boundaries perpendicular to the frontage that was the medieval High Street. Archaeology of Roman, medieval and later date was also found west of Wygeston’s House. 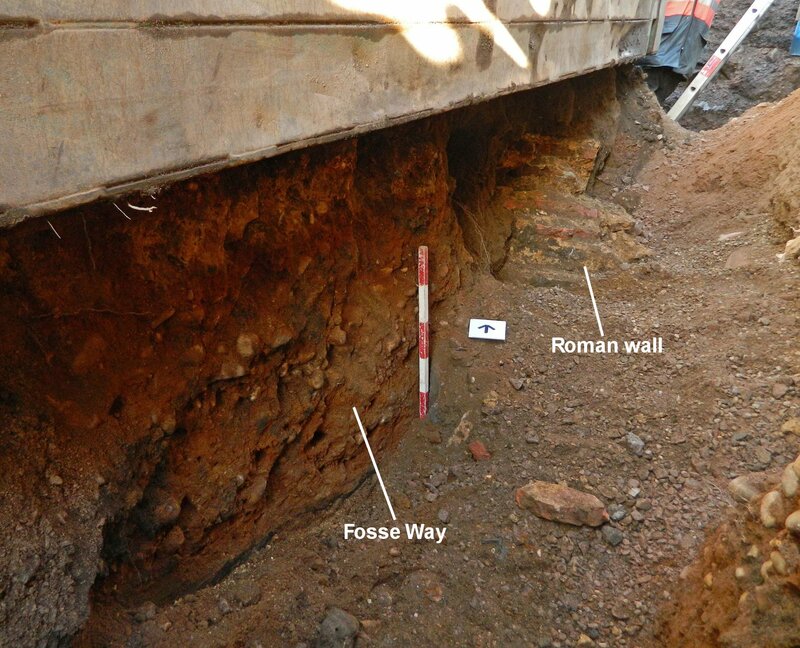 The Roman evidence included metalling of the Fosse Way road as it runs through the town to the south of the forum site. Either side of this road, parallel wall-lines and roadside ditches were exposed. On the north side of the road further substantial walling of a type similar to the Jewry Wall, and therefore suggestive of public works, may be the forum precinct wall on the southern side of Insula XXII. To the south of the Fosse Way was the north-west corner of a stone building with associated floor make-ups. Fosse Way metalling, and to the north the possible forum precinct wall with tile courses. Roman wall and floor make-ups observed just to the south of the Fosse Way. Sealing the Roman activity, a ‘dark earth’ of Saxon or later date was also identified in some areas. The medieval activity included a series of metaled surfaces and occupation levels, most likely evidence for Hotgate, a medieval street running east to west across the site. Pottery from these layers is of Saxo-Norman date (11th-12th century). 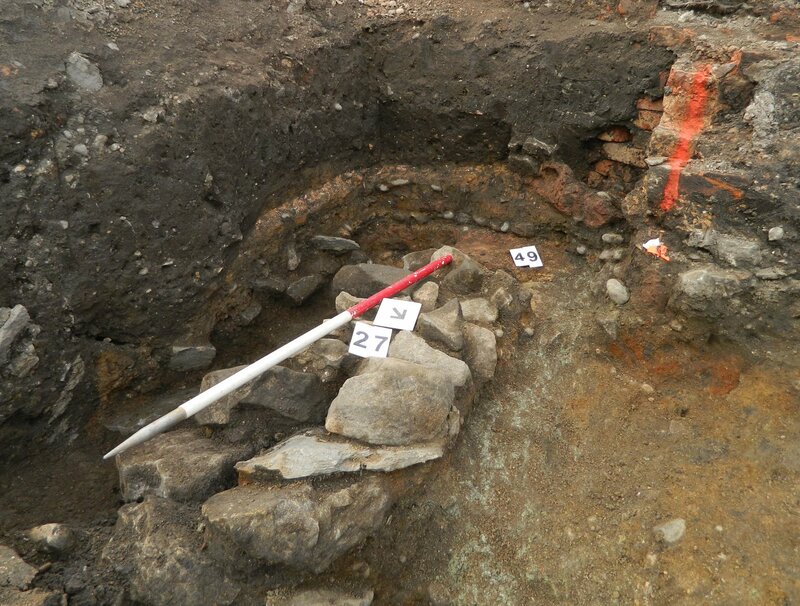 Further medieval evidence was present including stone walling, occupation levels and pit activity, including a probable 12th century pit with cess deposits. Later activity included stone and brick structures with much reuse and reworking of Roman and later materials being observed, the line of Thornton Lane being confirmed across the site, and two wells one each of stone and brick construction. Roman cornice fragment recovered on site. 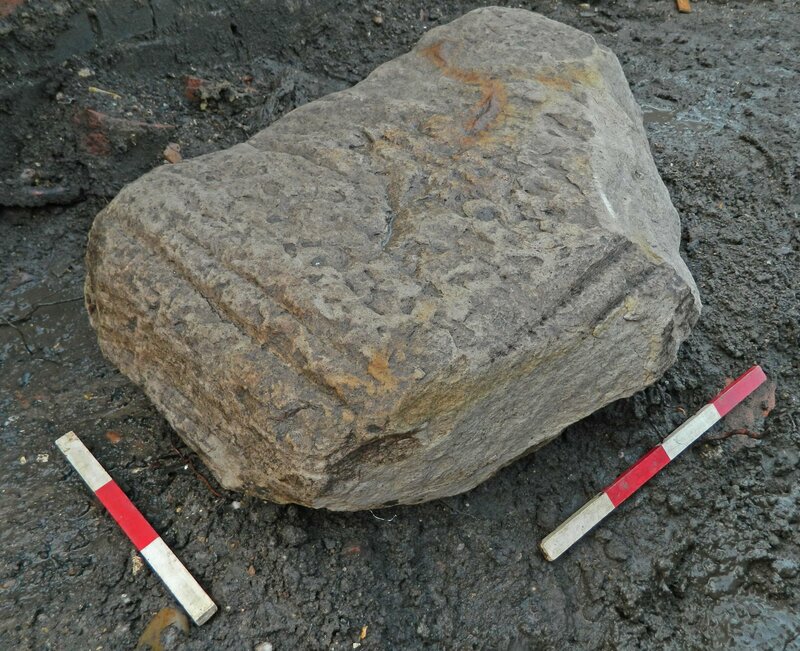 Two fragments of Roman worked stone were recovered from residual contexts, a finely worked cornice fragment measuring 880 x 490 x 240mm, and a column drum measuring 530 x 350 x 270mm with a probable original diameter of 540mm.